It’s hard to buy gifts for grandma and grandpa. What do you buy for someone who has everything or limited space? 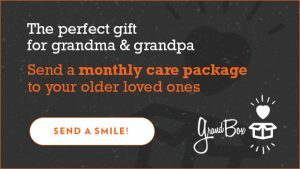 GrandBox is the original monthly subscription box customized and curated specifically for seniors 65 and up. It’s the perfect gift to bring a smile to the older loved ones in your life. We were given the opportunity to review this product. I think it’s a genius idea. 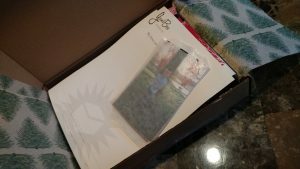 It allows for a personal touch and thoughtfulness by including pictures they print out for you and a note you can include in the box. Below are some pictures of the box that my children sent. 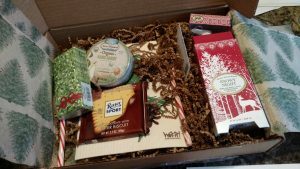 It included some products that I know their relatives would love to try out. I especially liked the note and pictures they prepared and included in the box. I would highly recommend this product if you have relatives that live far away. It would be a great surprise and caring gift. 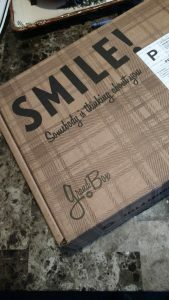 GrandBox perfect Holiday Gift for your loved ones! Save on your first purchase here! Brought to you by US Family Guide.